Kayla and I are starting some flower seeds indoors to move outside when it gets warm enough. This is our first time growing seeds inside so we’re pretty excited. We wanted to share what varieties we’re growing and how to care for them so you won’t be intimidated to give a go yourself. 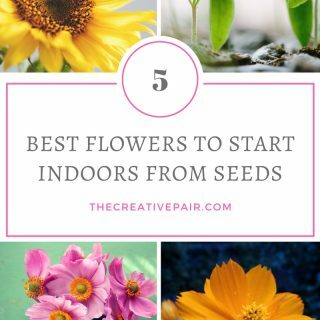 Today, I’m sharing the best flowers to start indoors from seed. Whether you’re an experienced gardener, or you’re just beginning, the steps below are straightforward. 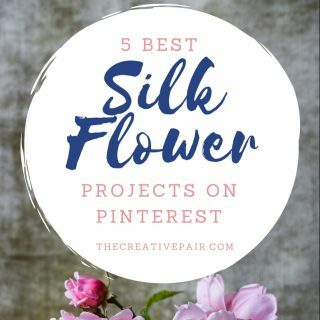 The flower varieties I chose because they germinate and grow quickly. This means it won’t take long to have sturdy young plants to move outdoors. Or, continue to grow your flowers indoors for loads of color year-round. Ok, I already hear you complaining about how tiny impatiens seeds are. 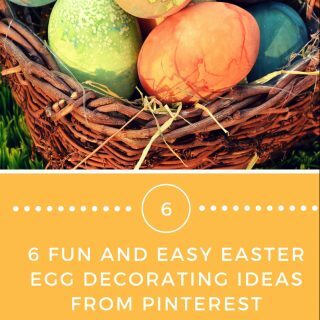 You might be tempted to resort to the pelletized versions for easier handling. However, the coating on these seeds lowers their germination rates significantly, so resist the temptation. bloom nonstop from when you transplant them outside until the first frost. They grow from 6 to 30 inches tall. You can also choose from a huge range of multicolored and solid shades of white, purple, salmon, orange, red, and pink. We opted to try this seed mix as it’s our first time growing these flowers. For hassle-free germination, make sure you provide adequate moisture, light, and warmth. To start impatiens seeds, prepare a pre-moistened soil and sprinkle the seeds on it around 10 weeks before the last frost date. Allow adequate light to reach the seeds. Don’t cover them before they germinate. Because we don’t have enough room near our windows, we’re using an LED grow light we bought on the advice of this great article. Transplant your flowers outside 1-2 weeks after the last frost date. 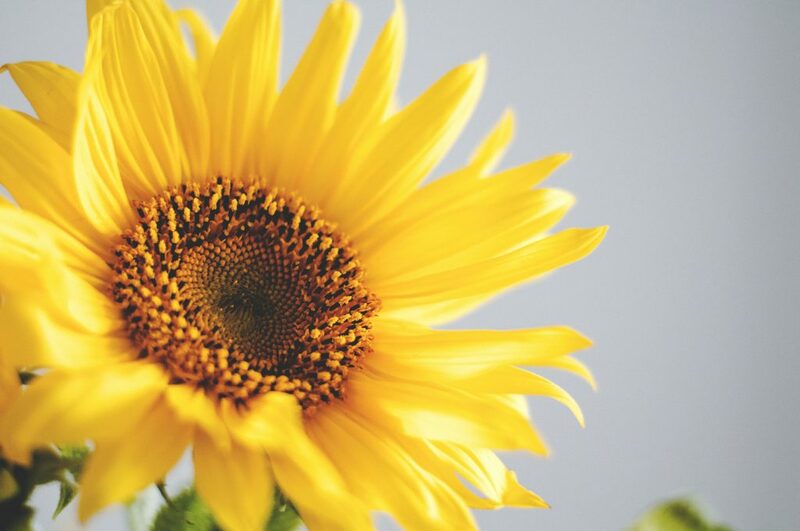 Who doesn’t love sunflowers? They’re such happy looking blooms! Do you ever wonder why sunflower seeds are always included in every kid’s pre-packaged garden kit? Well, the moment a sunflower seed is covered in warm moist soil, it sprouts. We bought this mix of dwarf sunflowers because we want to keep them in pots on our front porch. Sow your sunflower seeds 5 weeks before the last frost. Plants the seeds half an inch deep in the soil, and keep the temperature between 70-85 degrees F.
Expect your seedlings to appear after 1-2 weeks, and transplant them after the last frost. I was warned by my neighbor not to start marigolds indoors. But I read recently that French varieties are easier to grow and more disease resistant than their American counterparts. I opted for these pretty heirloom marigolds. Marigolds will thrive in any climate. 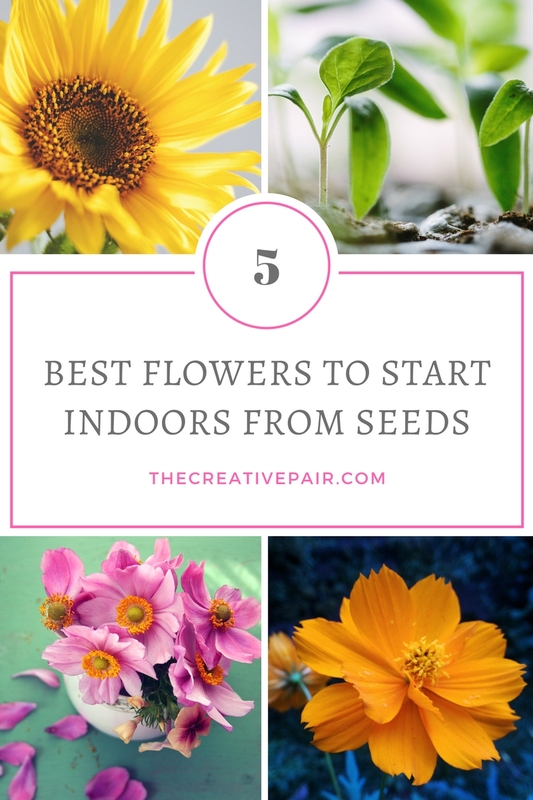 Start your seeds indoors to enjoy their bright orange and sunny yellow blooms. Sow your seeds around one and a half months ahead of the last frost date. Did you know that some sweet alyssum seeds can germinate in only four days? Talk about instant gratification! What’s more, they mature super-fast to give you tiny fragrant flower masses to enhance the look of your spring garden and home. You will find these ground-hugging plants make an amazing edge for your containers, borders, or beds. Alyssum flowers come in purple, white, yellow, or pink. I love the deep purple alyssum so we’re growing these. Sow your alyssum seeds directly on the surface of your soil 8 weeks before the last frost date, and don’t cover them up. Ensure that the soil temperature ranges from 60-75 degrees F.
As the frost date nears, you can freely transplant your flowers. 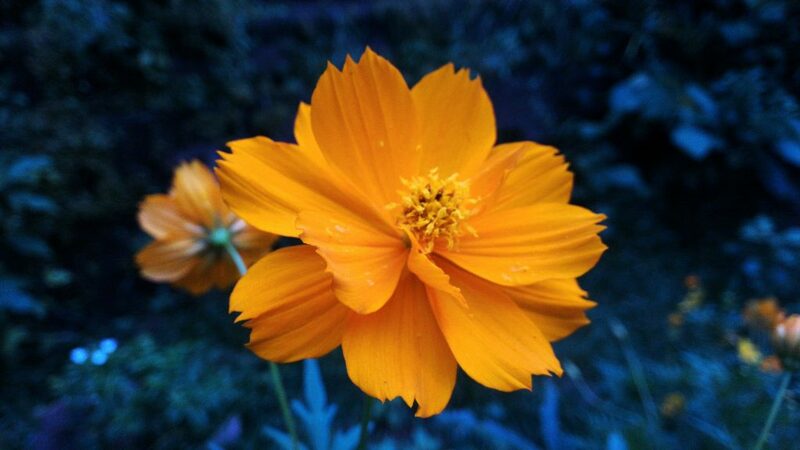 As tough as nails, you only have to plant cosmos once and they’ll just keep growing. 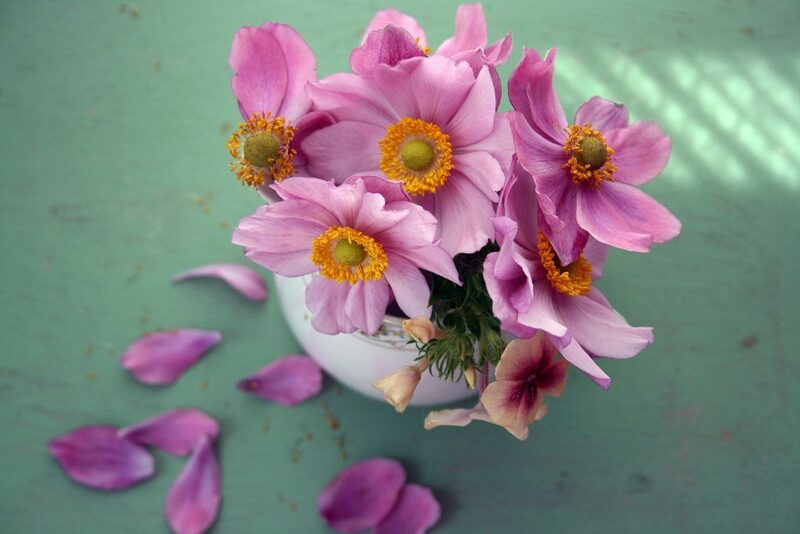 They are so easy to plant and grow, cosmos are a true no-brainer for an enthusiastic beginning gardener. Cosmos typically come in shades of burgundy, pink, white, and lavender but chocolate cosmos are becoming trendy. We chose this pretty mix and I’m going to start some indoors and sow others as wildflowers in our backyard. Sow your cosmos seeds between 4 and 6 weeks ahead of the last frost date. Cover the seeds with an eighth of an inch of soil. 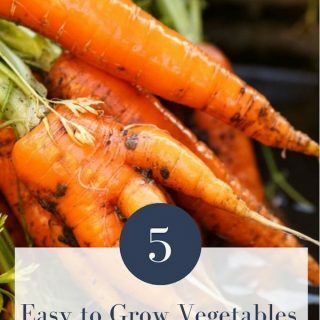 Keep them at around 70 degrees F until they sprout and then reduce the temperature by 10 degrees. Give them plenty of light to avoid leggy plants. You can transplant your flowers as the frost date nears. Which of these beauties are you going to try starting indoors? I’m excited for Kayla to see these flowers go through the entire process from seed to flower.